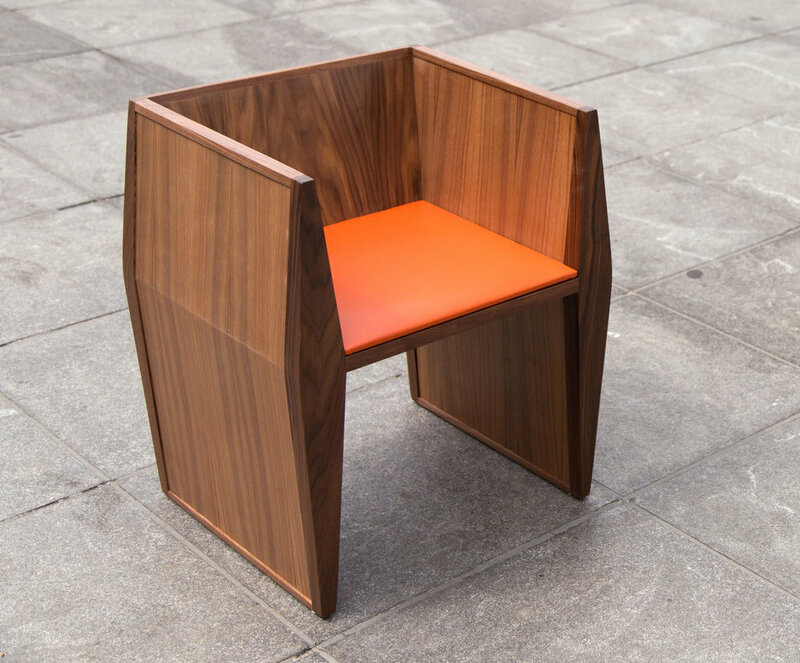 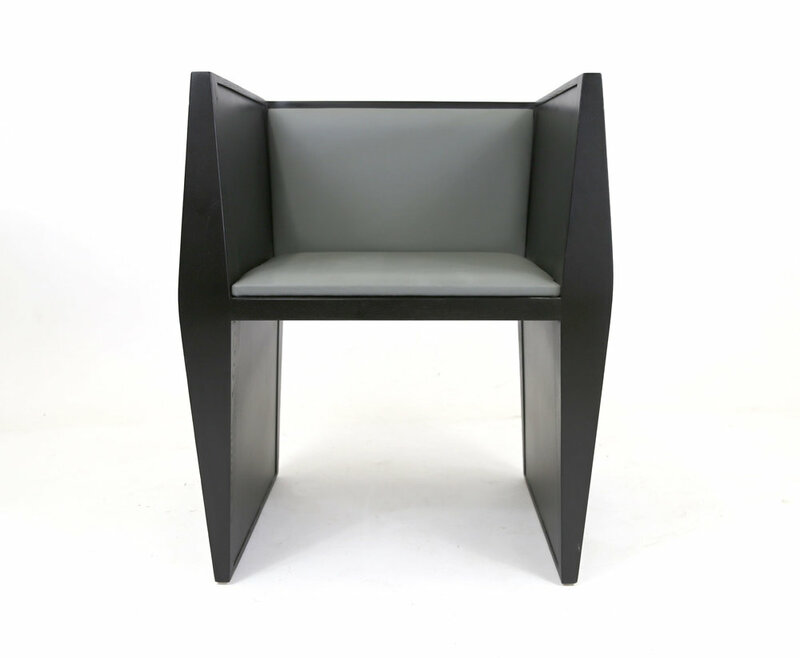 This comfortable chair has two diamond shaped vertical supports joined by a clean horizontal seat and an angled back rest. 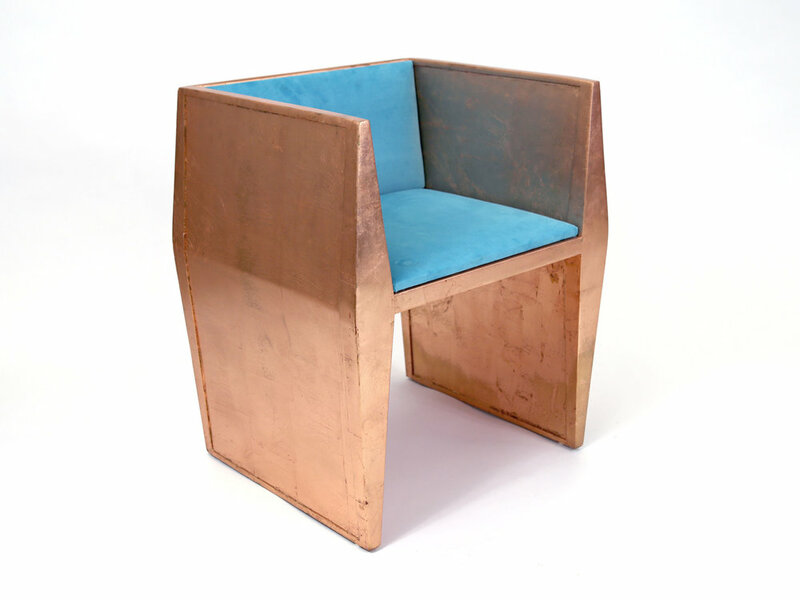 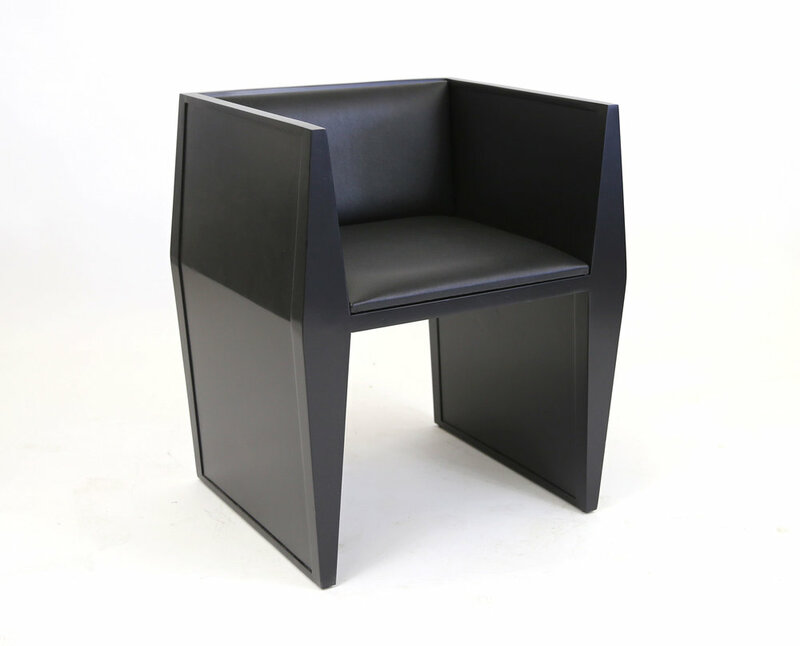 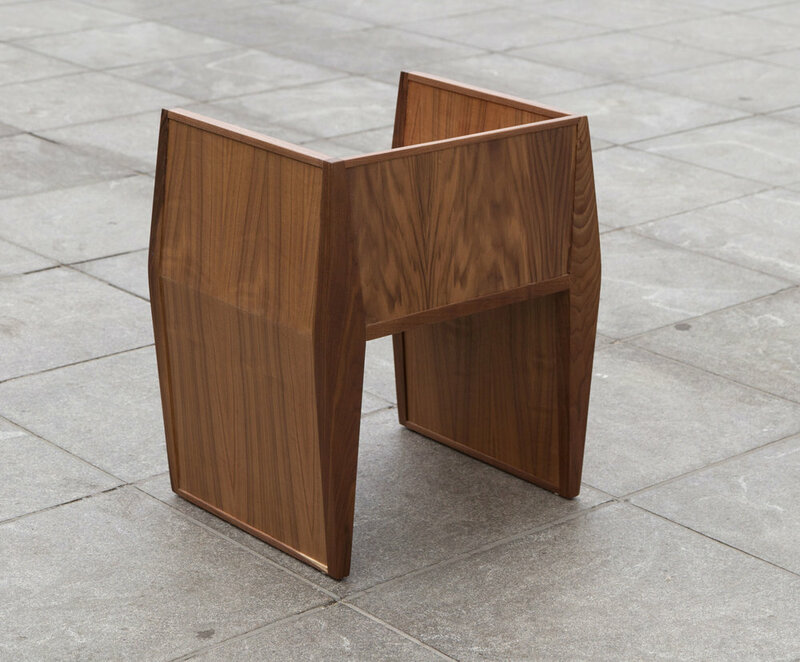 Remarkably, even though the chair is comprised entirely from geometric shapes, it has a sense of character and rhythm such that the end result is as much an elegant sculpture as it is a functional object. 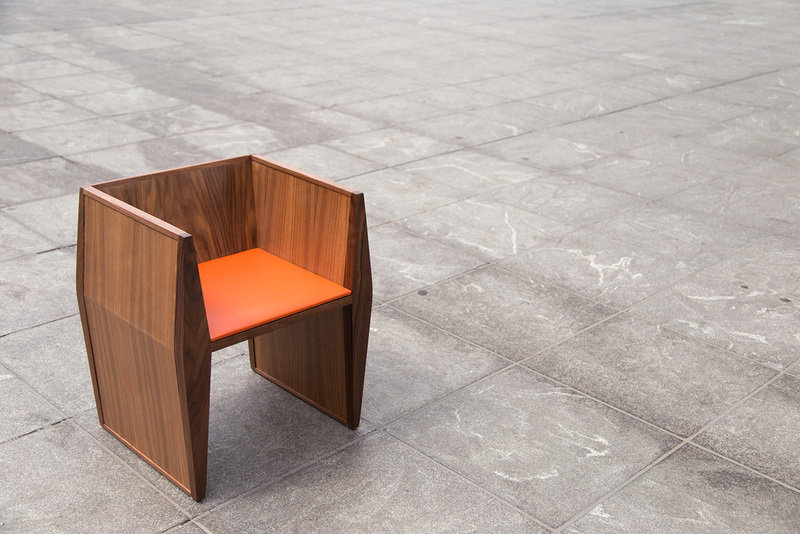 It is also available as a backless bench. 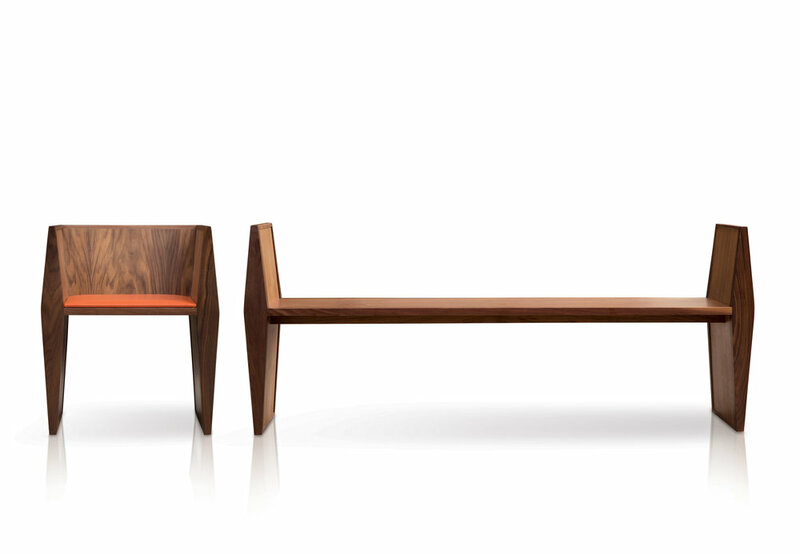 The Sapience Collection is made from solid wood & veneers. 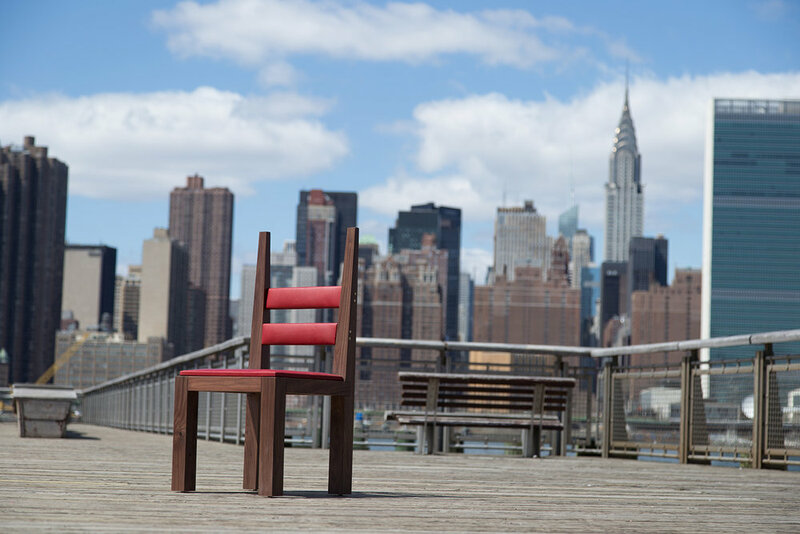 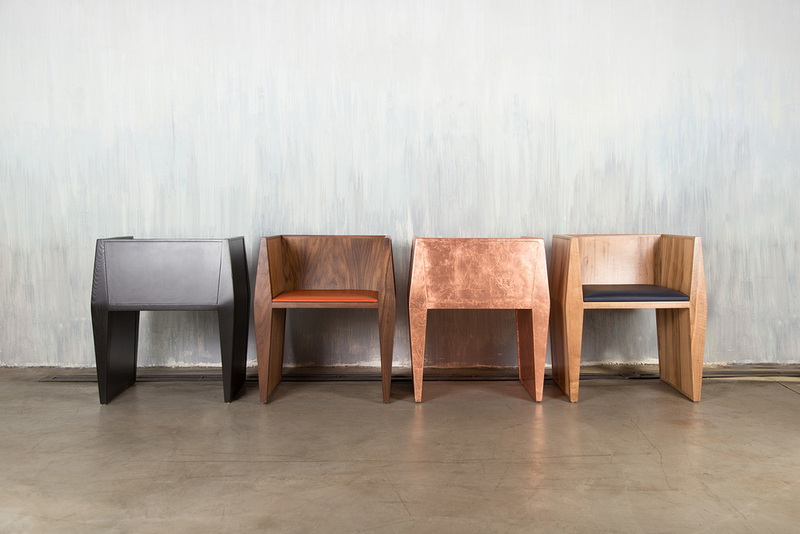 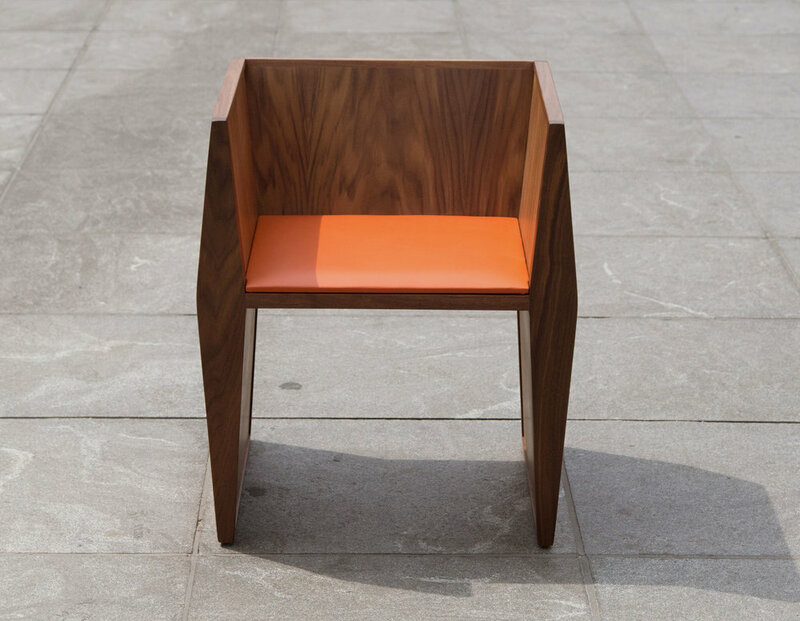 It is available in a variety of wood species, finishes and upholstery.